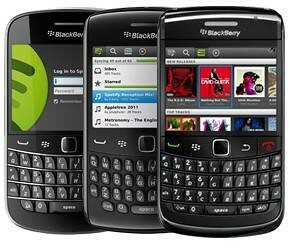 Spotify expanding its access to additional mobile platform and the latest one to join Spotify family is BlackBerry. Today, Spotify announced that BlackBerry app is no longer a Preview release and is now available to any user with a compatible phone. Compatible phones include Bold 9780, Bold 9700, Curve 9300, Bold 9000, Curve 8520. Currently the app only supports phones running on GSM networks. CDMA-network phones and the Torch 9800 are not compatible. You can check out 48-hour free trial directly from the mobile app or sign up to our 30-day free trial to give it a spin.